Well, by now a lot of students have cried their eyes out reading The Fault in our Stars by John Green. 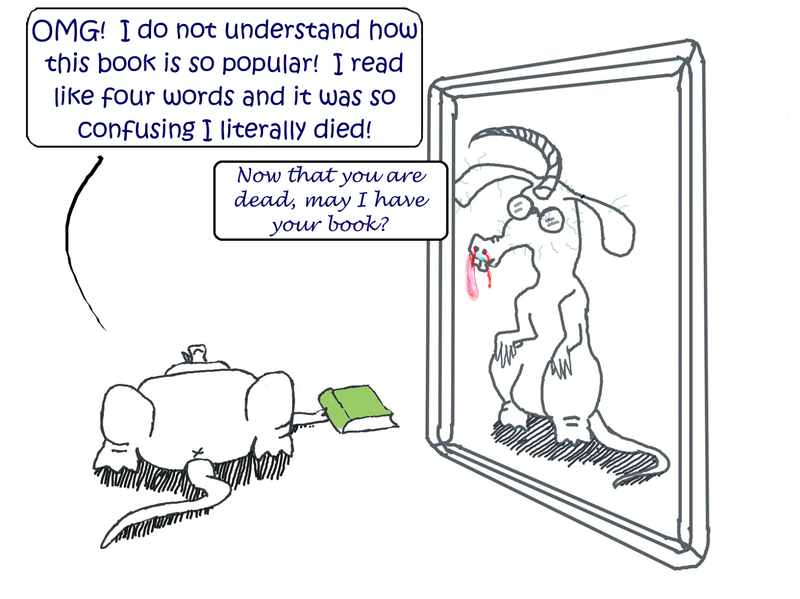 The Nardvark started reading it, but it had too many big words in it, so he decided to wait for the movie. Nerdvark, however, LOLled himself to tears at the "literal heart of Jesus," because misuse of the word "literal" is just one of the Nerdvark's biggest pet peeves. When Nardvark uses the word "literal" when he means "figurative," it makes the Nerdvark's tongue loll, and not in a good way. Literal means actual. Literally means really. It's confusing, because literary tools include figurative language, like metaphors and similes and hyperboles, but literary is not the same as literal. Really. Now go read the book again and see if you get strange looks when you LOL.